We are here to make the registration process of your yacht or motor yacht as simple as possible. No online forms to complete! Competitive prices with disbursements at cost! Contact us by telephone or email to discuss your registration requirements. For non UK residents we also offer a UK representative to enable yacht owners from other countries of domicile to have their vessel registered on the British Part 1 register. This may be of particular interest to Spanish based vessel owners and other EEA Country members. Many vessels are registered on the British SSR (Small Ships Register): however this is a basic form of registration which does not prove vessel ownership and a number of other aspects such as individual vessel name etc. In essence anyone could reregister your vessel in their own name on the SSR. British Part 1 registration has a number of advantages opposed to the SSR. The title of the vessel is verified. The nationality of the vessel is stated. Marine Mortgages can be secured against the vessel. Transcripts of registry can be obtained to show the vessel’s ownership history. Companies incorporated in one of the EEA countries can register on British Part 1 with a representative but not the SSR. British Part 1 commercial registrations. UK representative if owner is not UK Domiciled. Change of vessel details such as name, port, engine etc. 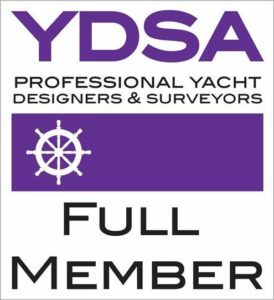 Tonnage measurements up to 24 meters LLL via YDSA Certifying Authority. Signing of carving and marking notes if required/commercial.